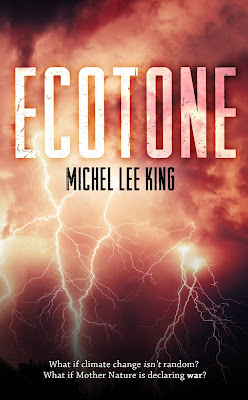 Author Michel Lee King: Cover Reveal Time! So... Remember a few months ago when I said that I was switching gears from Little Red Wolf to a new project? Well, that new project is coming along nicely and it is officially time to show you all something kind of amazing. 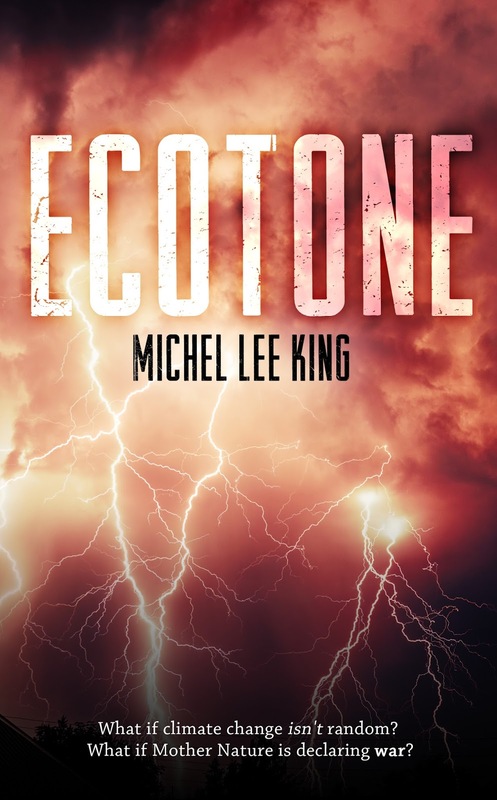 According to Merriam-Webster, “ecotone” is defined as: a transition area between two adjacent ecological communities. Etymology: ec- + Greek tonos meaning tension. This book is an anthropomorphic take on climate change. Many of the characters are natural phenomena we are well acquainted with. Readers from my neck of the woods will recognize Mount Rainier, Mount Saint Helens, and the Puget Sound. Readers everywhere will know Dover (yes, those white cliffs), Mount Everest, and Mount Fuji. Also making appearances are the River Kama in Russia, the north wind, the great redwood forest of Northern California and Southern Oregon, and a few lost civilizations whose mysterious demises are explained. Readers will learn the natural politics behind Super Storm Sandy, and why Hillary Step on Mount Everest actually fell away. Packed with science, fantasy, and a touch of humor, this book follows the career of Doctor Ferma, a climate scientist with the National Oceanic and Atmospheric Administration. With a knack for finding connections where others see only jumbled data, and the ability to see through the veil of magic splitting two distinct, but inseparable, worlds, she is tasked with negotiating peace. One side is oblivious to the war they are entrenched in. The other is fractured into opposing factions. Neither is willing to concede a point. And the fragile balance between magical world and human world is ever tipping toward the total destruction of both. Will humanity learn to see before it is too late? Will Mother Earth finally reveal herself? Will all the spirits of the world find a common ground? I am currently in deep edits on this novel and am anticipating a Fall release. Keep your eyes peeled for updates and excerpts as the edits come to a close. Also, a quick reminder that my books are no longer available in paperback. If you would like to purchase any of my novels, please save a tree by heading over to Amazon or Smashwords and downloading a digital copy. A portion of the royalties from each book sale goes toward the National Parks Foundation.